Founded by a group of middle-aged uncles who want to reach out to the younger generation and increase their awareness of Singapore’s roots, Chong Wen Ge promises a café experience steeped in heritage. 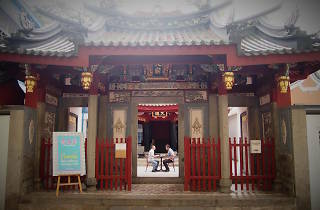 Its name pays tribute to the Institute for the Veneration of Literature, Singapore’s first Chinese school, and the café is also part of Thiam Hock Keng temple complex, which was gazetted as a National Monument in 1973. 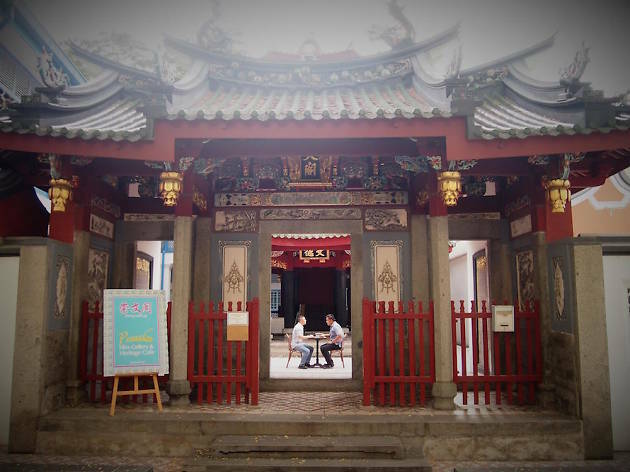 Enter through the Chong Boon Gate and be greeted by authentic Peranakan-tiled flooring, piano sounds and the backdrop of the intricately decorated Chong Wen Pagoda.